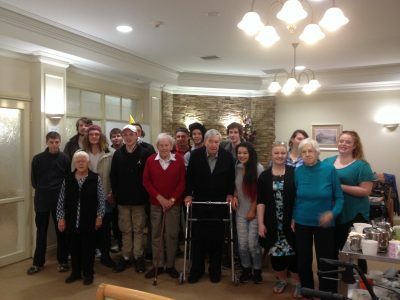 The Intergenerational Musical Memories Pilot Project was developed and trialled in the first year of the Maroondah City Council’s age-friendly journey to address the domain of Respect and Social Inclusion. The project used music to bring together one older person within a care facility that was experiencing some memory loss, and another younger person that felt disenfranchised from mainstream society. Through music, both generations were able to connect, grow and learn that age is no barrier to building relationships. 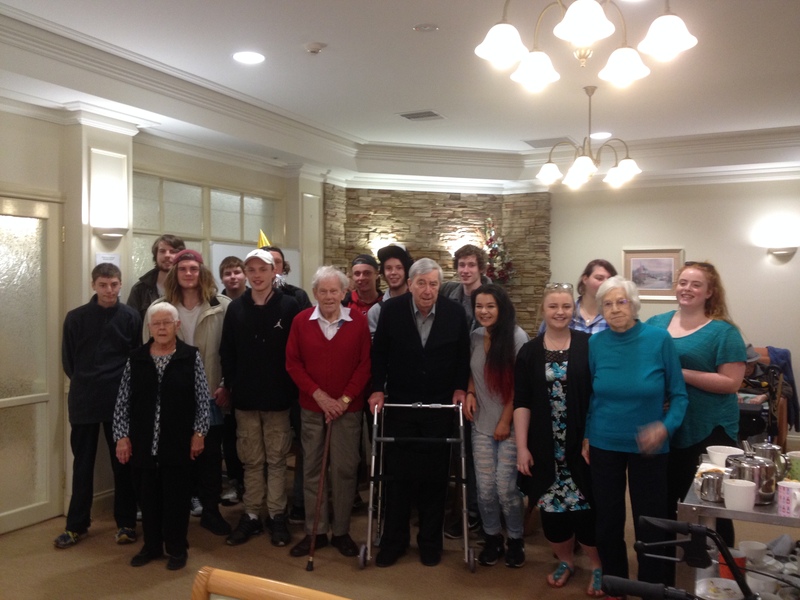 The Active & Healthy Ageing Initiative partnered with Swinburne University’s VCAL (Victorian Certificate of Applied Learning) program and Homestyle Aged Care Ferndale Gardens to trial this program under the age-friendly domain of Respect & Social Inclusion. The trial phase of the project has now been completed and below is a video that showcases the program and the great outcomes it achieved. How collaboration worked: An expression of interest and recruitment process was initially extended to all residential care facilities to determine an ideal candidate for this project’s pilot phase. A partnership agreement was also developed by Maroondah to ensure that all partners were aware of all the details of the program and everyone's responsibilities. The outcomes for all parties involved were also documented, addressed and evaluated. All parties contributed funding to this project, which was drawn from their existing budgets. Details on older people's involvement: As beneficiaries of the pilot program, older people determined the outcomes and requirements they wanted from the program, and evaluated the effectiveness of the pilot. This feedback was incorporated into planning the second roll out of the program. Older people were also pivotal in advocating and championing the program to their peers to recruit new participants for the program. Providing the opportunity for intergenerational exchanges was more important than the initial intended outcome of the activity, which was to use music to elicit memories for older people experiencing memory loss. Whilst this project did facilitate this initial objective, what was of most value was the intergenerational exchange that was made possible as a result of the introduction of this project into the care facility. Intergenerational relationships were nurtured and built, which bridged the gap between generations, and addressed ageism across both cohorts. Everyone discovered how alike we all are irrespective of our age – and music made this discovery possible. Yes. In response to the positive feedback, additional residents and students were introduced in a second reincarnation of the initial pilot project, and an additional version of the program was introduced. This also provided an opportunity for the initial participants to stay involved in the program. The 3rd version of the program will be introduced later in 2018. Every time we roll this program out we always evaluate it by asking both the residents and the partners involved about what worked and what would need to be done differently to improve the program. It is a huge undertaking to ensure that the program’s development fulfils all parties’ requirements. Linking this program to educational outcomes has been pivotal in ensuring its sustainability. Having passionate partners involved in the program has also been vital as all parties have invested their time and commitment to learning and growing this program. But we've also discovered that it is not always the program that drives outcomes - it is the people involved, and the variances we encountered have been due to different people being involved in each version of the program. A challenge we encountered was that all participants were involved in other projects or activities that drew their time away from this program. There were times when students weren't able to connect with their partner older person as they were ill or in hospital. When collaborators had competing priorities, the program required a reliable driver/champion to constantly support and coordinate the project and prompt partners to keep to deadlines. To overcome this, agreed contingency plans were drawn up in the event of non-availability of resident or student, as well as program driver. Another challenge was gaining consent for all participants to be involved and to have photos and videos taken; this was time consuming but was unavoidable as written consent was required for all participants. A possible solution for future programs would be a digital consent form to reduce administrative tasks. There were also limited private/quiet spaces in care facilities to cater for large numbers of students and not enough staff to supervise break out groups. We also encountered logistical issues around transporting 2 busloads of students when there was no parking on site to accommodate them. Both logistical and staffing issues required greater consideration in subsequent programs.